This lovely fishbowl goblet makes the perfect gin glass for any gin connoisseur. Simply add your gin and tonic of choice and flavours whether its elderflower, orange peel, ginger - the choice goes on! 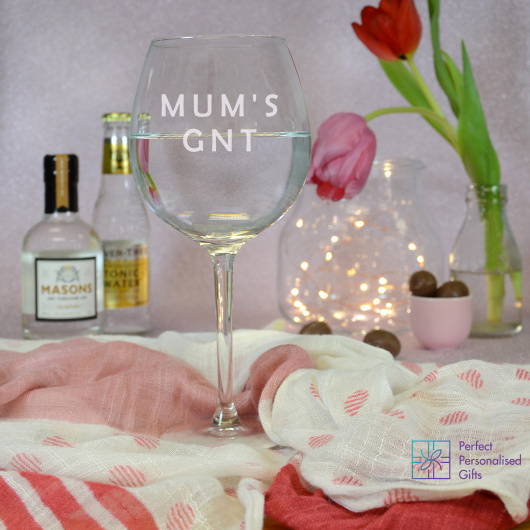 The glass can be personalised with anyone's name above GNT.